A trilogy of new Carsonpedia articles today. These articles tend to come in clusters, as one subject can spawn several others. Today the topic is Treadway’s Park, which was written about in the Nevada Appeal a couple of weeks ago. 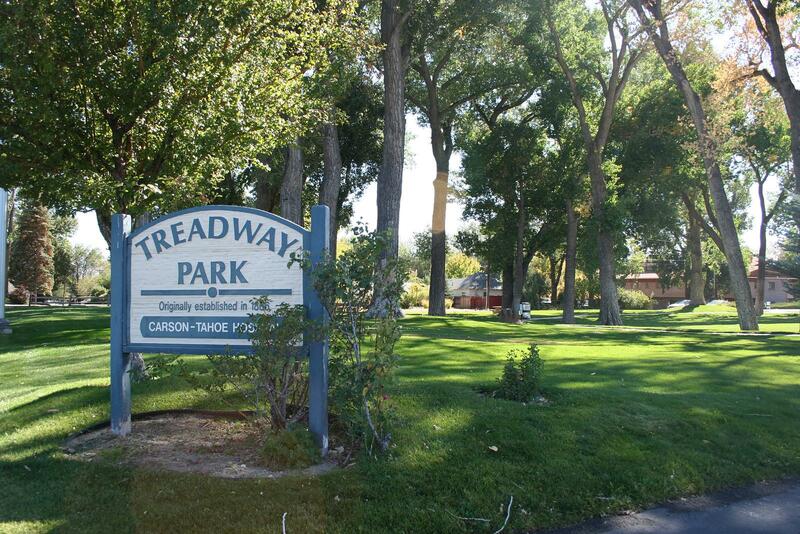 Treadway’s Park was one of the earliest parks and picnic grounds in Carson City. It was actually the private ranch of Aaron Treadway, but he let people come in to enjoy what he had built. At its peak there was a different club or organization coming to the park every day, many of them arriving on the V&T Railroad from Reno and Virginia City. The park is gone now, all except for a small grassy area. Much of the land is taken up by the former Carson-Tahoe Hospital, and what’s left of the park, which is still called Treadway Park, is in the parking lot of that facility. The last I heard the hospital owned the park, but was negotiating to sell it to the city.